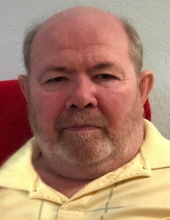 Roger John Morken, 65, of Dayton passed away April 13, 2019 in Liberty. He was born January 18, 1954 in Roseau, Minnesota to parents Norman Morken and Shirley Bishop Morken. To send flowers or a remembrance gift to the family of Roger John Morken, please visit our Tribute Store. "Email Address" would like to share the life celebration of Roger John Morken. Click on the "link" to go to share a favorite memory or leave a condolence message for the family.